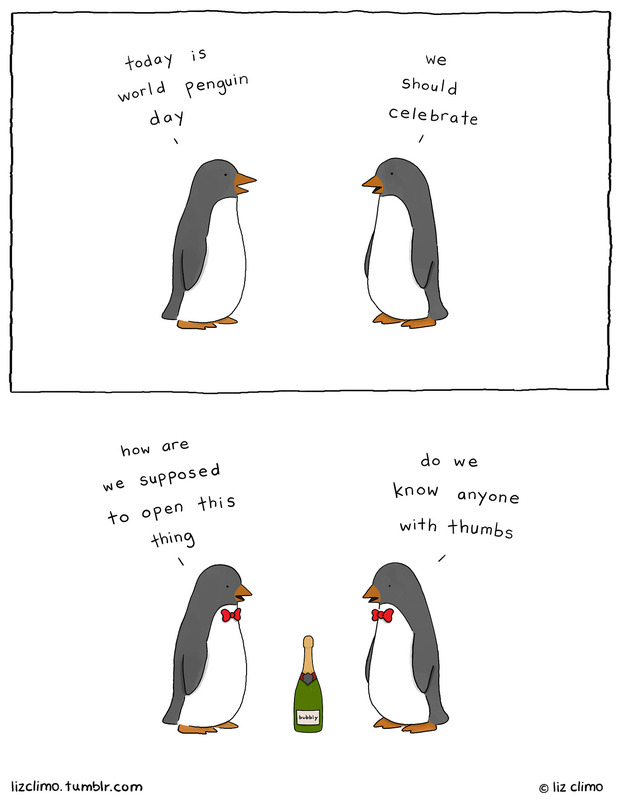 My blogging friend Kim sent this image to me via email for World Penguin Day. I had to post it here regardless how late this is getting posted. Celebrated World Penguin Day here by driving back from Las Vegas through the cold snowy and rainy weather that central Utah provided to me. Guess I shared that much with my favorite animals’ habitat up north. You totally shared your weather with your penguin friends! Crazy to think that places are still getting snow! You are most welcome for the shout out. And yes, snow in April (and sometimes May) is bothersome to this penguin guy.